The next scheduled meeting for the DCBAC Legislative Committee is October 5, 2011 at 6:30pm at The Union Pub, 201 Massachusetts Ave NE, Washington, DC 20002. Please check back, the date and location of the meeting are subject to change. 1. Complete Streets policy and whether a law would be better. 2. 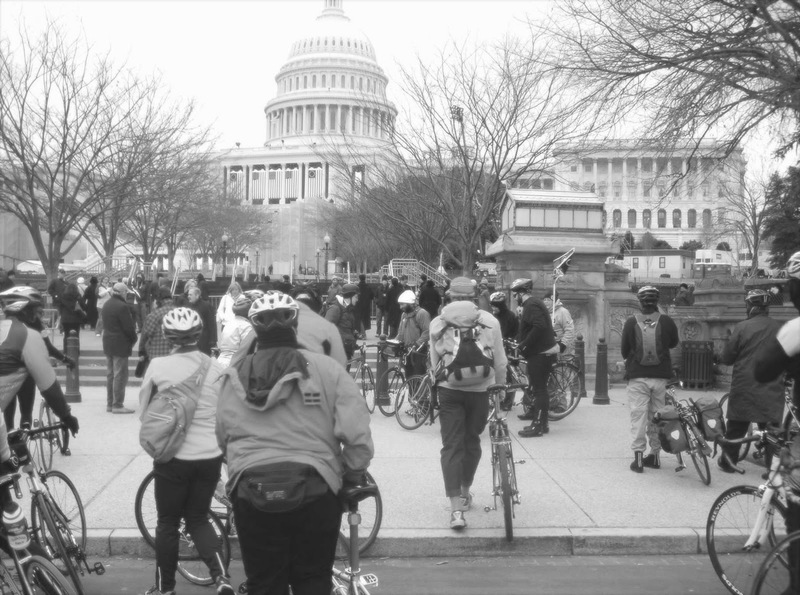 The Legislative Committee chair is in the process of putting together a Freedom of Information Act request for a bicycle parking report as required under the Bicycle Parking Expansion Act of 2007. Also, the Committee will discuss drafting a letter to the Department of Public Works and District Department of Transportation requesting their status in implementing the Bicycle Safety Enhancement Amendment Act of 2008's requirements. Rules says pedicabs only allowed on public streets, does that preclude trails, sidewalks, alleys and private streets. Does DC have the authority for that? Rules say no more than 3 passengers - so no kids in laps? Would 3 "adult" passengers be better wording? Seat belt rule - will this pin passengers under overturned pedicab - there are no roll bars? Does this carry any safety benefit at all? What does the seatbelt even need to be anchored to? The law doesn't say. Brakes - law describes technology, but for bikes it's performance based. Performance based (stopping in x feet) is better. Why do lights have to be battery operated? Why not USB or dynamo? Just say light and how bright - not how to power it. Turn lights are required, but there is nothing in the law requiring their use. Is that ok? Rules on stopping to load and unload should also prohibit stopping in the bike lane. Is stopped with operator on bike "parked"? Should be defined. Rule on locking bike makes it seem that they can not be locked to anything even bike racks. Should they be parked on the sidewalk or the street? What can they lock up to? Reflective vest requirement is for all times of day. Is this appropriate? Why not at times when lights are required? Would a "slow moving vehicle" emblem be better? Definition of pedicab makes it unclear if all adult tricycle's are pedicabs. Or if a pedicab with the cab in front is a pedicab. Or if a pedicab without passengers in it is a pedicab. If a person transports people for a "donation" are they for hire? And if not are they not a pedicab anymore.